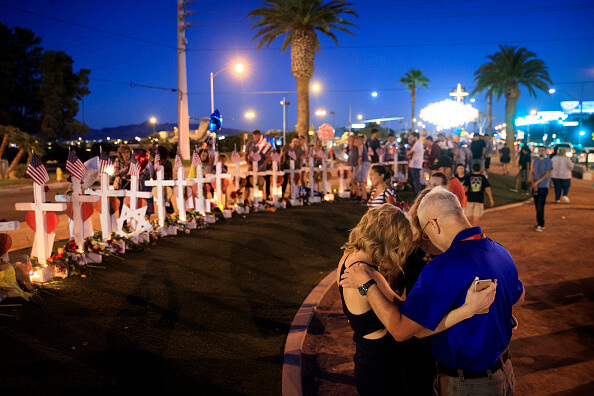 The country was shocked, saddened and angered over the deadliest mass shooting in U.S. history, at a music festival in Las Vegas that left 58 dead and close to 500 wounded. Our hearts still ache for the families and communities impacted by this tragedy. Many have wondered about the shooter, his state-of-mind, what could have been done to prevent this and what should be done to keep this from happening again. Reportedly, the shooter was depressed because he had been losing money for two years. "Since September 2015, he's lost a significant amount of wealth, and I think that might have been a determining factor on what he was determined to do," according to Sheriff investigators. And there is some recent evidence depression may cause us to make bad decisions and commit violent acts - even homicide. In one study, researchers at Oxford University utilized medical records to track the conviction rates of nearly 50,000 people diagnosed with depression. They then compared them to the records of nearly 900,000 people, matched for age and gender, with no diagnosis of depression, following them up for an average of three years. So how does depression shape our thinking and make us do things we know we shouldn’t do? Here is my opinion after much research. In general, our brain controls our decision making process – specifically the frontal lobe. A ‘quick and dirty’ overview of the brain may put all this in perspective. Generally there are three parts to the brain – brainstem, cerebellum and cerebrum. The brainstem is like a relay center and connects the other two parts of the brain (cerebellum and cerebrum) to the spinal cord. It allows us to perform automatic functions like swallowing, coughing, sneezing, breathing etc. The cerebellum is located where the spinal cord meets the brain (at the back of the brain). It is mostly responsible for such things like movement of muscles, balance and posture. For example, when you hit a tennis ball you are activating the cerebellum. It coordinates movements. The cerebrum is the largest part of the brain. It comprises the forebrain/frontal lobe. It is responsible for more sophisticated functions like vision, speech, emotions and reasoning. It allows you to plan, think, holds your memories, read books etc. In a nutshell, it is responsible for cognition/cognitive skills. These are the skills that are needed for thinking, learning and remembering. It allows us to apply the information we have learned and make good and informed decisions. Clearly, any decision whether to commit an illegal act may be affected by how well the frontal lobe of our brain works. This is the portion of the brain that allows us to gain/retain information, reason, plan, and apply information we have learned in a meaningful and beneficial way. This part of the brain helps us process information and make sound decisions based on objective information or credible information that we may have read or learned. These are all functions performed in the frontal brain, sometimes referred to as executive functioning. There are barriers or influences that might affect our ability to use this frontal area of our brain effectively. For example, if we are depressed, it may affect our ability to access this portion of the brain which enables us to make informed and good decisions. Depression, may make it difficult for us to recall any healthy information we have learned and utilize it in a way that will enable us to make appropriate decisions. One technical explanation regarding how depression affects our brain is as follows: When we are depressed, our body releases cortisol, also called the “stress hormone.” In a healthy brain, brain cells (neurons) are produced throughout our adult life. In people with major depressive disorders(MDD), however, the long-term exposure to increased cortisol levels can slow the production of new neurons and cause the neurons in the brain to shrink. This can lead to memory problems and an inability to properly utilize our brain for lucid thinking. “Many researchers believe high cortisol levels play the biggest role in changing the physical structure and chemical activities of the brain, triggering the onset of MDD. Normally, cortisol levels are highest in the morning and decrease at night. In people with MDD, however, cortisol levels are always elevated, even at night,” according to a report. So how can we be proactive about depression? Magnesium - Several studies have shown an improvement in the severity of symptoms of depression when study participants were given 125-300 mg of magnesium with each meal and at bedtime. Chromium - Many studies have been done to assess the benefit of chromium picolinate in depression. One study showed that 70 percent who took 600 mcg of chromium picolinate had improvement in their symptoms including emotional stability. Iron - Decreased levels of iron can result in apathy, depression and fatigue. Iron is also important for oxygenation of the brain and necessary for all its functions. Studies need to be done to find out how common iron deficiency anemia is in patients with depression, and once corrected, to determine which symptoms would be improved. In the meantime, if you are depressed you should check your iron levels. Selenium - Depression, because of selenium deficiency, has been established in at least five different studies. Depression may be the result of oxidative stress, which is why selenium may be helpful. Selenium has antioxidant properties. Numerous studies done on different populations and age groups suffering from depression showed improvement in mood and anxiety when given selenium. Overall, mood was also improved when selenium was given to those with depleted levels. Zinc - This trace element is essential to the human body. It is involved in over 300 reactions in the body and is abundant in the brain. Many clinical studies have been done to determine the relationship between zinc and depression. Zinc levels are generally low in those with major depression. Zinc supplementation along with antidepressant therapy has been studied and has shown benefits. Copper - This mineral is important in depression because it is a component of the enzymes that metabolize the brain chemicals that help you respond to stress, feel happy and be alert. These enzymes, and the associated chemicals, are responsible for the causes and treatment of anxiety and depression. Several studies have been done on copper levels and depression, and there is an association between high levels of copper and depression. Manganese - This mineral is a large component of superoxide dismutase (SOD) and was found to be low in the depressive episode of bipolar patients compared to controls. SOD is important in anti-oxidation and many studies have established that depression is an oxidative process, or can be caused by lack of antioxidants. Chronic exposure to manganese may cause depression. Calcium - There is no clear relationship between calcium and depression. Some studies found low calcium in depressed patients and others found elevated levels. However, you cannot ignore calcium’s role because it affects the levels of magnesium in the body. 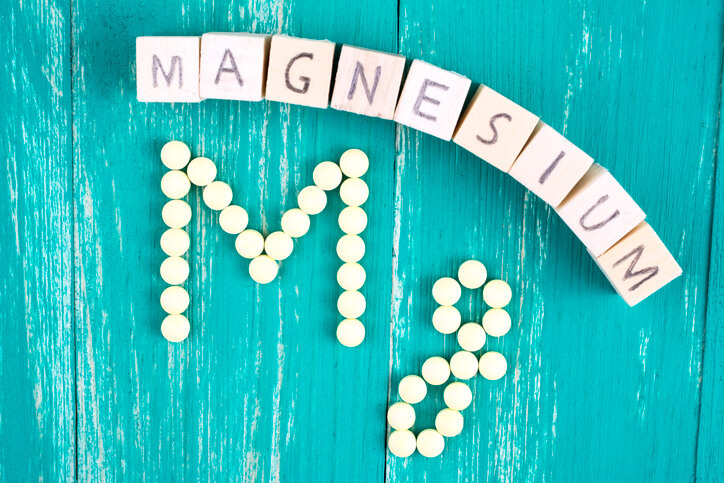 Magnesium is important in depression, and if your calcium is too high, it may cause your magnesium to be low, which may make your depressive symptoms harder to treat. B Vitamins - Deficiencies in various vitamins including vitamin B are reported to have a negative effect on the brain. Being nutritionally sound and balanced may not only prevent many diseases, but it may also put your body in the best position to recover from disease or better manage issues, such as depression. 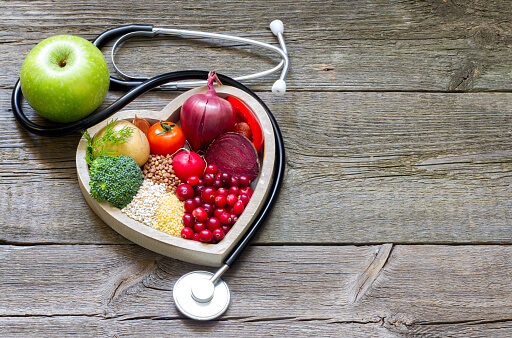 You should not only know what you need to eat but also be able to objectively assess your nutritional status on a regular basis throughout your life to identify dietary or lifestyle changes you may need to make. 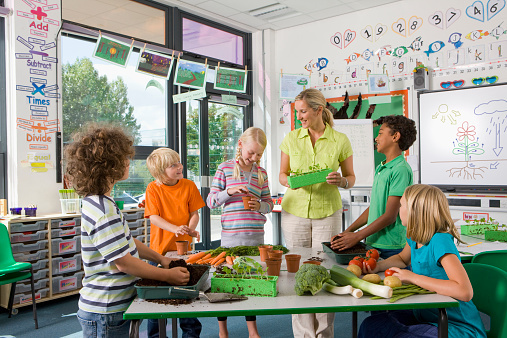 And if as an adult you know how to be healthy, you can educate your kids to be as well. A great first step is getting a better idea of your nutritional status by taking a comprehensive nutritional test and talking with your healthcare provider about your results. You also should consider having your children take the test as well, given the importance of good nutrition, especially in the earliest years of life.